Big Muddy Adventures: an alternative way of teaching, from the river. “Big Muddy” Mike Clark is one of the most accomplished canoeists and guides in America. He has over 10,000 miles of big river experience and has led thousands of people in large and small groups on guided river trips since 2001. 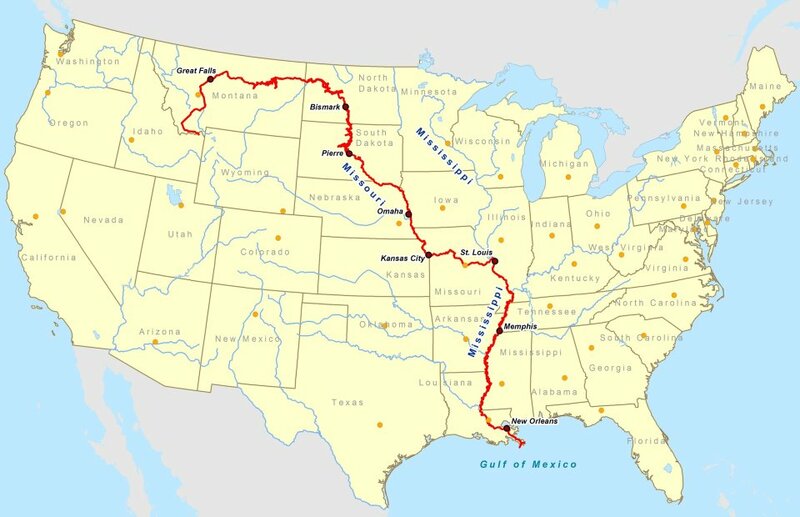 He has completed entire navigations of the Mississippi River (2001), Missouri River (2002, 2005-2006), Yellowstone River (2006), and Sunflower River (2004, 2005, 2007, 2008). He is the founder of Big Muddy Adventures. Michael is also a veteran elementary and middle school teacher and currently teaches computers, science and history part time at St. Ann Catholic School in Normandy, MO. Annually, Mike leads a live learning adventure expedition for school children across North America — connecting our youth with our rivers. Mike Clark is a youth leader and truly a Steward and Champion of America’s Rivers. He has won a number of awards, including the Pekatanoui Award for non-motorized River Cleanups and in March 2012 was recognized as a “Hero of the New South” by Southern Living Magazine for his work as a river steward and river guide. I love what Big Muddy Adventures is all about. You can learn more here.